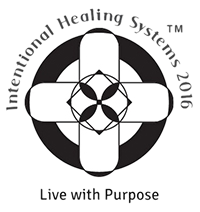 IHS are the initials for Intentional Healing Systems. (Intentional Healing Systems, LLC.) IHS Unity is a movement started by the founders of the company. Their vision is to invite well intentioned human beings to participate in this movement with a purpose of healing collective humanity, bringing people together in harmony and creating a better world. Who is IHS Unity for? IHS Unity is for any individual who envisions a world filled with peace and harmony, and all of humankind. Why should I join IHS Unity? If you would like to align yourself with concepts and like-minded people that promote the well-being of all humans, to include yourself, IHS Unity provides the perfect forum in which to do this. IHS delivers information and tools that assist individuals in bettering their own lives for the purposes of benefitting all. IHS offers a free membership. Visit the Member page on the website for details. How do I know if IHS Unity is right for me? 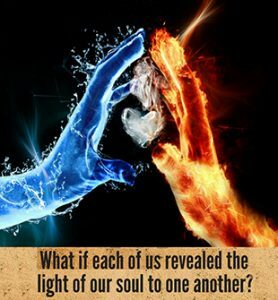 IHS Unity is right for you if you have the desire to better your life not just for yourself, but for the benefit of those around you and ultimately the benefit of collective humanity. If you can see how your success in life is not just yours, but that your accomplishments benefit a cohesive, collective humanity, IHS Unity is right for you. Who created or founded IHS Unity? IHS Unity was created by the founders of Intentional Healing Systems, LLC and the co-authors of “Gratitude + Forgiveness x (Love) = Happiness”, “Daily Agreements, Guidelines & Intentions”, Aimee Mosco and Donald L. Ferguson. Please visit the “Founders Page” of the IHS Unity website to learn about them. Please navigate through the pages of the IHS Unity website (www.ihsunity.com) to learn more about the movement, the Unity Agreement, the founders and tools they offer for use. Sign up for the free membership on the Member page, the IHS monthly newsletter, follow IHS Unity on social media as well and read the newest blog post on the website for more information. What are the first steps in joining the IHS Unity movement? If you are interested in joining the IHS Unity movement, we recommend that you first learn about Intentional Healing Systems mission by watching the videos and reading about the company’s objectives on the website. Once you have familiarized yourself with the company’s goals and you have decided to be a part of the movement, we suggest that you use our IHS Unity agreement to support your commitment to global Unity. You can review this simple agreement on the “Unity” page of our website. Then join us as a member by registering on the Member page of the website. IHS Unity is a movement that is attracting attention all over the globe. Is there a cost affiliated with IHS Unity? There is no cost associated with joining the movement and using the tools provided through the website. Registration for membership is free. IHS has various products such as books and tools that take participants into a deeper experience and those tools are products for sale. What is the story behind IHS Unity? Please refer to the founder’s page on the website to read about how co-founders Aimee Mosco and Donald L. Ferguson started Intentional Healing Systems, LLC and the IHS Unity project. Do I need to be accepted into the IHS Unity community? Anyone who chooses to sincerely commit themselves to the simple terms of the IHS Unity Agreement and promote the well-being and success of humanity is accepted into the IHS Unity Community. When you register for the free IHS Unity membership on the member page you will receive an email verifying your membership. What if I don’t consider myself to be a “spiritual” person? IHS makes reference to spiritual development and general spirituality as a point of reference but not as a requirement to participate in the IHS Unity movement. A person’s level of spiritual development and acknowledgement of it, or not, is a private matter. How will my involvement in IHS Unity make a difference? Any well-intentioned person with the desire to better themselves and others, willing to take action through their thoughts, words and emotions makes an immeasurable favorable difference. The energy put forth by individuals involved in this movement will be amplified and returned to collective humanity. How can I help spread the word about IHS Unity? You can help by following and engaging IHS Unity on social media. You can share IHS posts and videos, and frequent the website to see what’s new. You can also demonstrate your commitment to IHS Unity through your actions and interactions with others. Commit yourself to Unity and greater good. Be the 10% that changes the world.